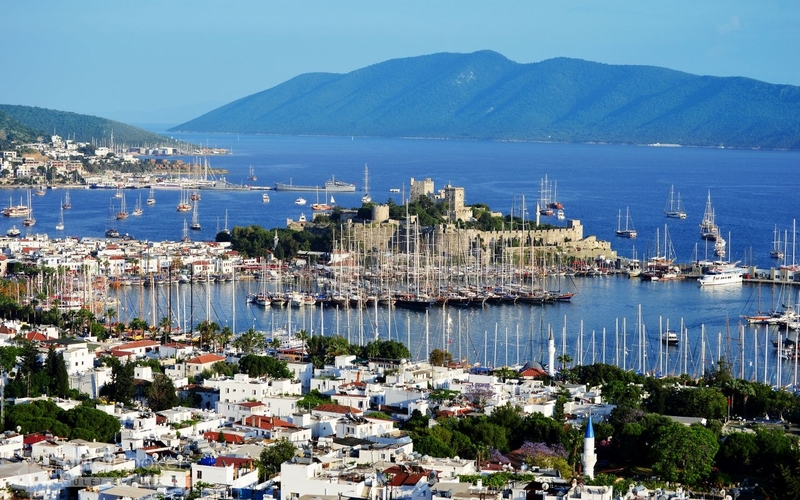 Bodrum is one of the main yachting hotspots of the famous Turkish Riviera. Most luxury yacht charter itineraries that explore the Lycian coast start in the vibrant city of Bodrum, offering a comfortable and convenient starting point for international travellers. The Milas-Bodrum Airport is just a 30-minute transfer to the vibrant city of Bodrum or three hours by car to Dalaman or Izmir airports. Bodrum is not only a fantastic destination in Turkey in itself but provides easy access to enchanting small villages, beaches, bays, and luxury hotels throughout the entire. The Greek island of Kos is also close by – identifiable across the water on a clear day – and is also easily accessible from Bodrum’s well-established port. 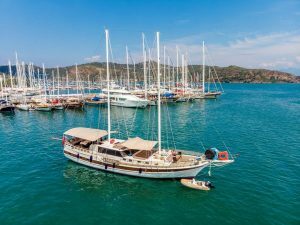 The beauty of a charter adventure starting in Bodrum is, of course, the unrivalled accessibility to these beautiful bays and islands by luxury boat. The fact that most of these hidden beaches on the Turkish Riviera have few official facilities and are difficult to access via land means visitors can enjoy a break from the crowds of tourists who flock to Turkey in the summer. 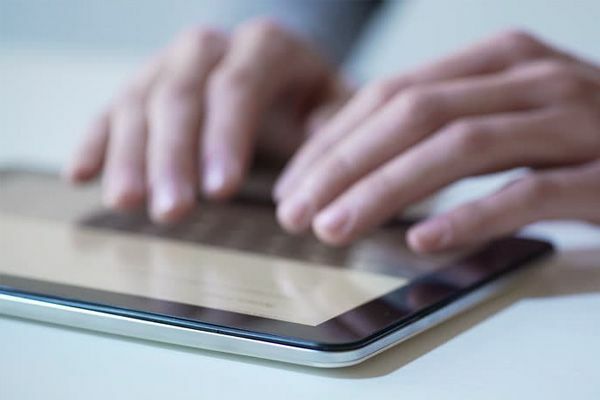 Offering a wealth of incredible destinations to explore in total privacy, experts such as Guletbookers can ensure a fantastic itinerary that includes all of these extraordinary experiences, making your Mediterranean yacht life experience the best it can be. Kisebükü, Akyarlar and Gümüşlük are all fantastic beaches for various reasons – but the magnificent scenery, as well as the quality of food and fresh fish restaurants, are consistent with all! Renowned for nightlife, luxury shopping, impeccable dining and Turkish dancing, Bodrum packs a lot of activity into the small old town area along the harbour fronts of the two bays. 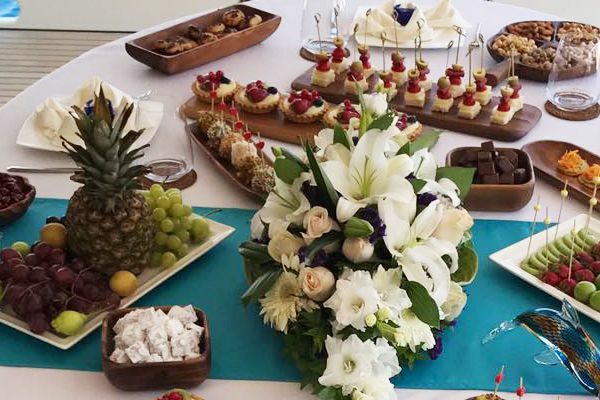 Each summer Bodrum is host to an array of coveted VIP events in the Turkish Riviera. The famous Nikki Beach hosts an annual White Party every July, while in August, lovers of arts and music can enjoy the Bodrum Music Festival takes places in August at a host of beautiful waterside venues in Bodrum. The Bodrum Jazz Festival awaits in the first week of September, while the summer cruising season is spectacularly rounded off with the Bodrum Cup in late October, organised by experts for the past 30 years. Turkey’s most famous sailing race, sailors compete in a spectacular display of Turkish sailing tradition and design innovation. 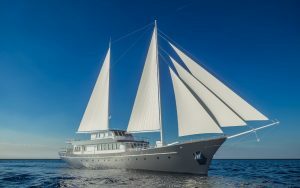 Current yachts available to charter in and around Bodrum include the 23-meter luxury gulet TUFAN V which accommodates up to 10 guests on board and starts at €875 per day. 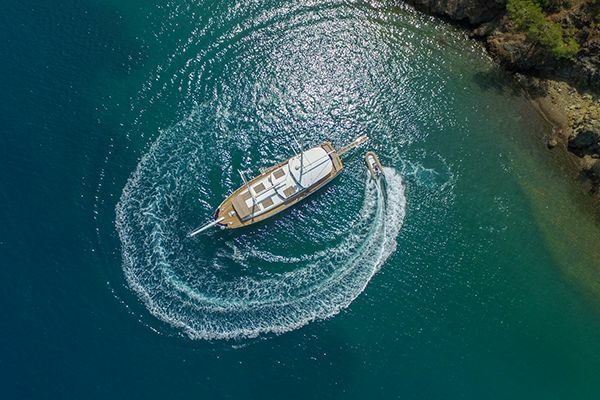 The deluxe yacht experience is also delivered in Bodrum by the 32-meter luxury gulet Kaptan Yilmaz III, which accommodates up to 12 guests who want to savour sea, salt and sunshine along the Aegean coast of Turkey or the Greek Islands. 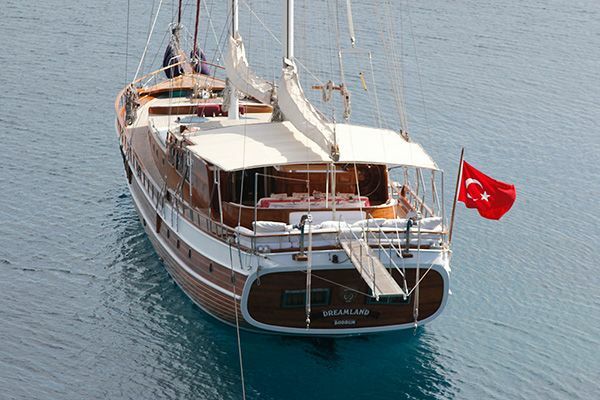 The 27-meter Kaptan Sevket is another excellent option for exploring the Turkish Riviera by luxury gulet. The sailing yacht accommodates 12 people on board in ultimate luxury and was built in the traditional Turkish style. Perfect for a great family getaway, accommodation is spread across four double cabins and two twin cabins. Kaptan Sevket boasts plenty of outdoor space for al fresco dining under the stars by night and lounging in the sun in the day. 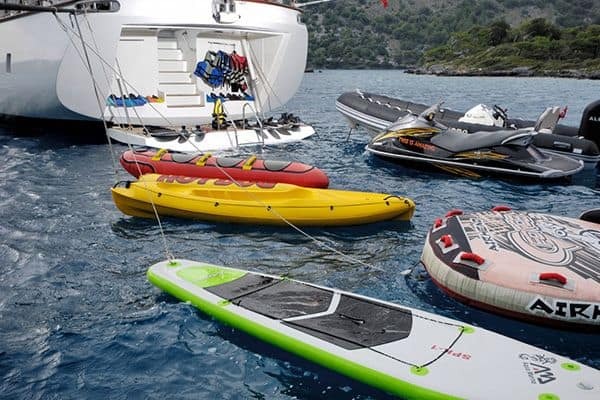 Ametist A is also a fantastic choice for a quality yacht holiday in Turkey. 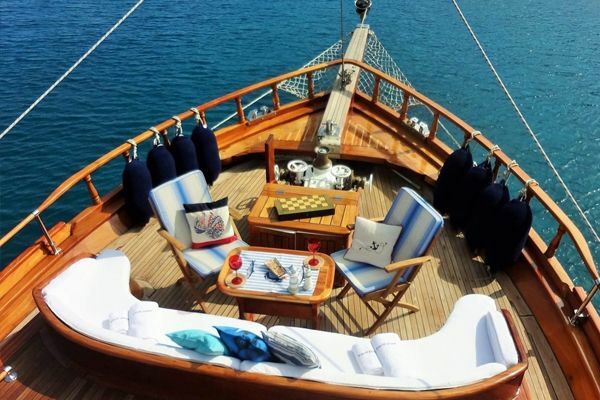 An exceptional 30-meter luxury gulet, she accommodates up to 18 guests at rates starting at just €1500 a day. Completely refitted in 2017, she is in perfect condition and offers a fantastic experience for a large group of friends or a fantastic family holiday. 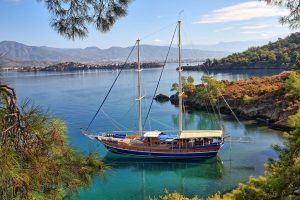 Explore charter itineraries including Bodrum and the rest of the Turkish Riviera with Guletbookers to find your perfect Mediterranean yacht holiday now!